Mark your calendars! 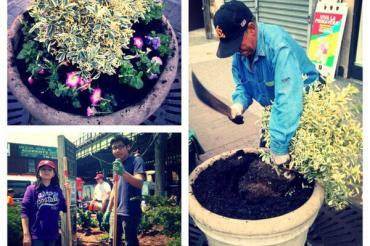 Saturday, June 6th starting at 11am the 82nd Street Partnership will be refreshing the planters with new colorful flowers, and tilling the tree pits along the 82nd Street corridor between 37th Avenue and Baxter Avenue. We are looking for community volunteers to help us beautify our neighborhood! If interested please contact us at 718-335-9421; everyone is welcomed! Previous post: Spring Under the 7!